"I felt weightless skiing down the mountain," Chen, 25, gushes after re-emerging in the material world. "The scenery around me was so authentic," she adds. 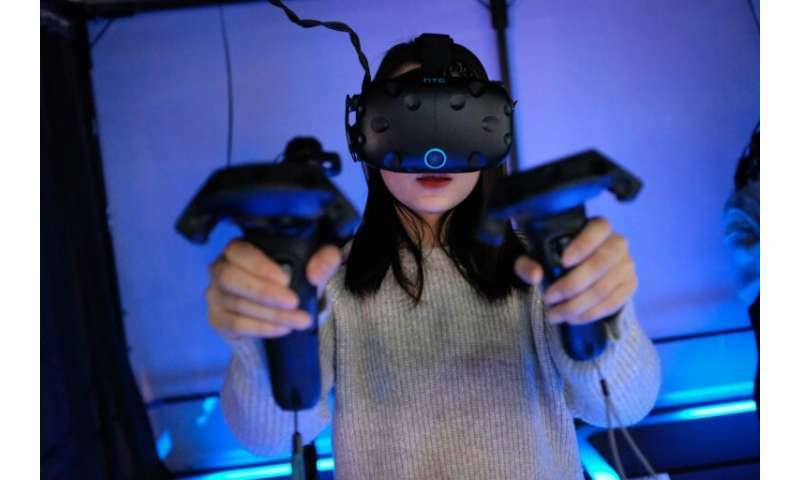 Chen, a hospitality worker, said she ventured into one of Shanghai's VR arcades due to word of mouth from her tech-savvy friends. Add in the profits to be made from headsets, equipment, games and other products, and it's little wonder that augmented-reality and virtual-reality industries are excited about China. "Chinese growth in the next five years could see it dominate AR/VR long-term—and not by a small margin," Silicon Valley consultancy Digi-Capital said in a report last year. "China has the potential to take more than $1 of every $5 spent" in the industry globally by 2022, it added. One key factor is China's government. 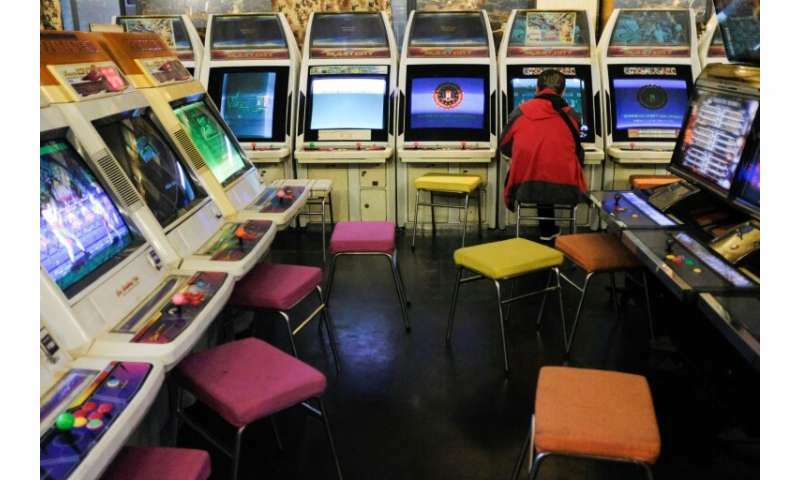 He cites the relatively high cost of arcade play—up to 70 yuan ($10) or more for a 15-minute game—and of setting up home systems. "It's hard for minors to get addicted," he said. 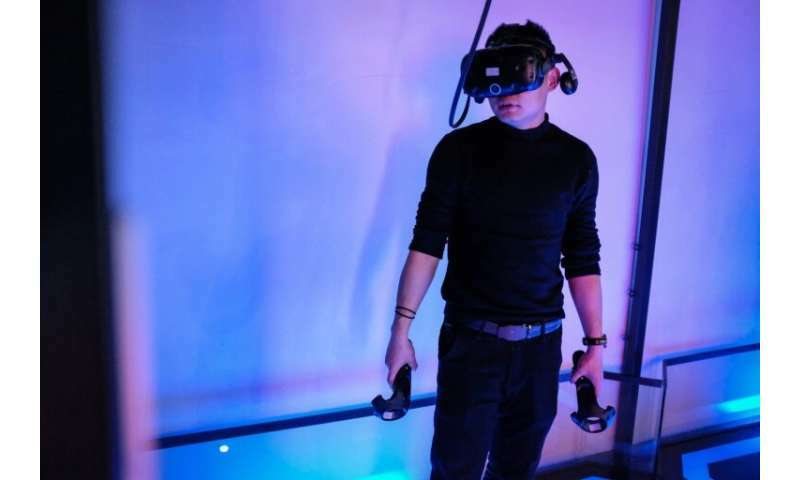 At Shanghai's VR+ Amusement Park, a new game lands only once every three months, officials there said. "There is no dominant competitor in the VR industry since it is so immature, and we will bring more and more opportunity," said Seekers VR's CEO Belle Chen. He said: "There is no better way to learn skills, and at a lower cost, than VR. Even though VR is still educating users about what it is, it could explode someday."